We've created a special family event at the Charles M. Schulz Museum in Santa Rosa just for physicians and their families who lost homes during the October fires. 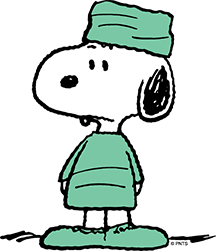 If you are a Sonoma County physician or spouse of a physician, and you lost your home last October, you and your family are cordially invited to a FREE Schulz Museum experience on Saturday, April 14th. This will help us plan the day and ensure that there is enough lunch and supplies for everyone. NOTE: These events are only for physicians and their families who lost homes during the October fires.